Esplanade Zagreb Hotel price per day from €104 Situated in the centre of Zagreb, Esplanade Zagreb Hotel is a well-known hotel offering spacious and beautifully furnished rooms with free Wi-Fi internet access. Mediterranean and California-style dishes are served at Zinfandel's Restaurant. Esplanade 1925 is perfect for cocktails and light snacks, while Le Bistro stands for authentic regional cuisine. You can also admire the views of the city from the Oleander Terrace, where mouth-watering Latin American food is provided. 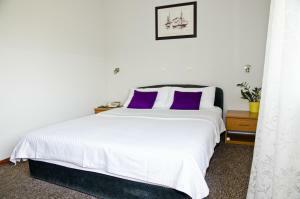 Garden Hotel price per day from €43 Located in Vodnikova Street in Zagreb’s centre, Garden Hotel was renovated in 2013. 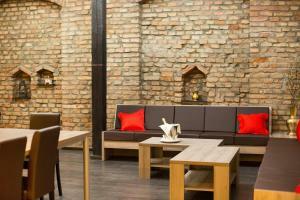 It offers an à-la-carte restaurant and coffee bar with a terrace, free Wi-Fi and modernly furnished rooms. Breakfast is served each day at the hotel’s restaurant, while other facilities include laundry and dry cleaning service. A Wellness and Spa Centre can be found at the nearby hotels. The Main Square and the Old Town can be reached in 1. Hotel Fala price per day from €44 Located 500 metres from Zagreb Fair and only 3 km from the central Ban Jelacic Square, Hotel Fala is a small, family-run property. Free Wi-Fi is available and free on-site parking is provided. Fala’s air-conditioned rooms feature a tiled bathroom, satellite TV and a refrigerator. The hotel features a breakfast room, where guest can start their day with a buffet breakfast. Hostel Day and Night price per day from €14 Located in the very heart of Zagreb, Hostel Day and Night is set just steps away from a tram stop and a 10-minute walk from the Main Train Station. Main Square can be reached in a short walk, as well as all major sites and attractions. 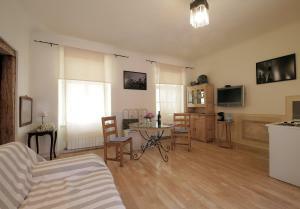 All rooms are air-conditioned and Wi-Fi is provided throughout the property. 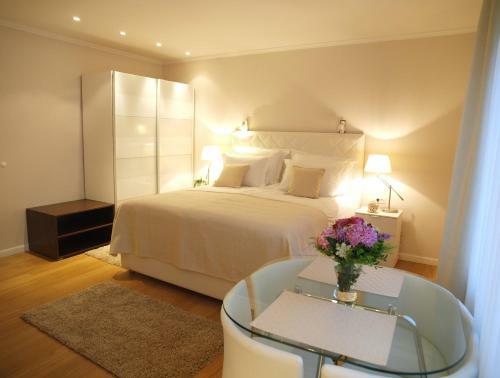 Rooms are brightly furnished and feature lockers for private possessions and reading lights. Holiday apartment 304641 Residential building - apartmentService: overnight stayFor 1 to 7 guestsRooms: 4Bedrooms: 2Kitchens: 1Living rooms: 1Bathrooms: 1Area: 85 m2Terrace/balcony: 3 m2 Amenities available within the complex courtRecreation in and arou. Holiday apartment 304630 "Penthouse Zagreb" is a luxurious an spacious apartment in the vicinity of the centre of Zagreb. It takes only 10 minutes to the main square.Apartment has two floors. 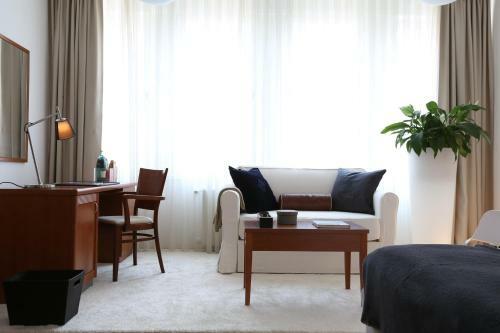 Holiday apartment 304698 Megi Smiles apartment is placed in central down town Zagreb area, in one of the typical, picturesque 1930''s buildings that reflects the spirit of ''old'' Zagreb, while providing a modern, cosy and very spacious accommodation. Hotel Calypso price per day from €54 Hotel Calypso is set in Zagreb, 900 metres from the motorway exit for various parts of the country. Featuring free Wi-Fi and free parking, it offers air-conditioned accommodation, a playground and a restaurant serving local and international dishes. All units comprise a flat-screen TV with satellite channels and a private bathroom with a shower. In addition to this, the apartments have a kitchenette. Meridien Luxury Apartments price per day from €95 Offering bright and modern-style apartments with free Wi-Fi and a fully equipped kitchen with a dishwasher, Meridien Luxury Apartments is set only 20 metres from the nearest tram stop and 2 km from Zagreb's Main Square. Each features a bathroom with a bathtub, a hairdryer and free toiletries. The nearest grocery store is only 10 metres away and various restaurants can be found in the vicinity. The Main Bus Station can be found 2 km away, while the Main Train Station is 2. 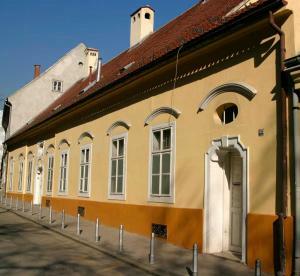 Palmers Lodge Hostel price per day from €30 Offering rooms and dormitories with reading lamps and power plugs for each bed, the Palmers Lodge Hostel is set in the historic centre of Zagreb, just 15 minutes' walk from the central Bana Jelačića Square. Main Train Station is just 300 metres or 1 tram stop away. Free Wi-Fi is provided in the common areas of the hostel. The common lounge is equipped with a PlayStation 3 and guests can buy snacks and drinks from the on-site vending machines, while a number of restaurants is easily accessible in the city centre. Apartments Angel Main Square price per day from €70 Right on the Zagreb's Main Square, Apartments Angel Main Square offers modern-style apartments with design furniture and free Wi-Fi. Its guests can easily explore all the major touristic sights, parks and promenades filled with restaurants and bars. The Main Train Station is 1 km from the Apartments Angel Main Square. Even though it’s the capital of Croatia, Zagreb is from time to time overlooked as a vacation destination by travelers to the country, which is a real shame, because it has much to provide! Sure, it doesn’t have the ocean or sandy beaches, although it has a number of fine landmarks, a number of dining establishments, cafeterias and clubs, tons of enjoyment and typical events, a monumental variety of accommodation (lots of budget hostels and private apartments), some good shopping malls and is quite simple to reach from elsewhere in Europe. Those other favourite Cental European towns – Bratislava, Prague, Ljubljana and Budapest – have a powerful competitor! Visually, Zagreb is a blend of straight-laced Austro-Hungarian architecture and rough-around-the-edges socialist constructions, its character a sometimes uneasy fusion of the two elements. This little metropolitan area is made for roaming the roads, drinking coffee in the permanently full cafeterias, popping into art galleries and museums, and savoring the theatres, performances and cinema. It’s a year-round outdoor town: in early spring and summer months everyone scurries to Jarun Lake in the south west to swim or sail, or dance the evening away at lakeside clubs, while in fall and winter months citizens go snow skiing at Mountain Medvednica (only a tram ride away) or treking in close by town of Samobor. It is usually safe to travel in key towns and vacationer districts. Brutal crime concerning guest are rare. Taxis, buses and trams are safe and sound and as well proficient. It is recommended to follow a couple of simple precautions to make vacation more comfy and safe. As a vibrant town, Zagreb has a wide range of adventures, events and pleasures all year round. There is no "wrong season" to visit Zagreb; each season has its pleasures. Summer months are hardly stifling and is a exceptional time to enjoy Zagreb's parklands. The town empties out in July and August, because inhabitants head to the coastline and islands. The lack of cramped trams can be relaxing although dining establishments and cafeterias may be sealed and night life comes to a halt. The season gears up in fall with a full menu of performances, exhibitions and special manifestations. As the leaves slowly turn color and the air grows chillier, Zagreb acquires a melancholy air. Cold winter months temperature levels make it the perfect time to duck into a comfortable coffee building and linger over very warm chocolate. In early spring, cafe life blossoms as everyone heads outside for lunch on a outdoors terrace or an after-work drink on among the town's incomparable plazas. 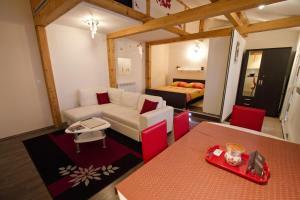 Travellers who are staying for a couple of days should think about buying the Zagreb Card. The card features unrestricted travel on public transportation in Zagreb, price cuts at practically all of the town's art galleries, reduced costs at a number of museums, eating places, stores, and service providers and a number of other concessions. It costs 12 euros and is valid for 72 hrs from the date and time entered on the card. Holders of the card as well receive a special booklet with a list of all of the establishments and the price cuts available to them. The card can be picked up at any of Zagreb's Tourist Information Centers and at the reception desks of most of Zagreb's hotels and resorts. 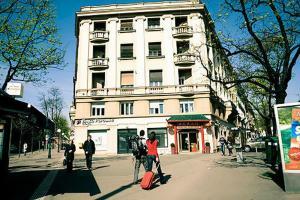 The accommodation offer in Zagreb is abundant and assorted, and thus appropriate for everyone’s price range. The hotels range between spacious premium hotels operating within famous chains to little private apartments and budget hostels. The accommodation categories are marked by stars and the prices of rooms and other services depend on the category. 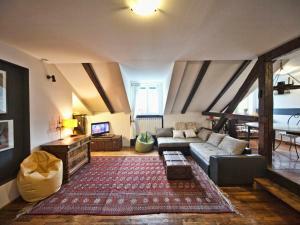 Among the advantages of Zagreb is the availability of accommodation in the very centre of the towns. This is where you will discover the most luxury hotels and resorts such as the Westin, Hilton, Sheraton and Esplanade, in addition to much more affordable ones. Normally speaking, the hotel accommodation is at a high level, the rooms are neat and the service is decent. Most hotels and resorts offer a car parking lot and some have a garage. Tourists can as well choose between innumerable private rooms and holiday apartments, while a couple of hostels are available for younger people arriving in the Croatian capital while exploring Europe. Zrinjevac Park, (just south - east of the prime square). the park of the Academy (connecting the Zrinjevac and Tomislav parks). Maksimir Park & Zagreb Zoo - The largest park in Zagreb. Exceptional place to chill out, drink coffee, eat lunch or take great long walks via the forest or by the little lakes. Best for joggers, bikers, also child and dog friendly. The 85-year old ZOO is situated in the Maksimir Park. Botanical Gardens, near the Hotel Esplanade. Square of Marsal Josip Broz Tito.